You’ve booked your venue, hired your mehndi artist and bought your mehndi lehenga. Now all you need to do is wait for the day to arrive and sit straight as you have beautiful, intricate swirls drawn on your hands. Of course, it’s in every bride’s very core to follow trends ranging from the latest blouse designs to popular wedding colours. But what about mehndi? 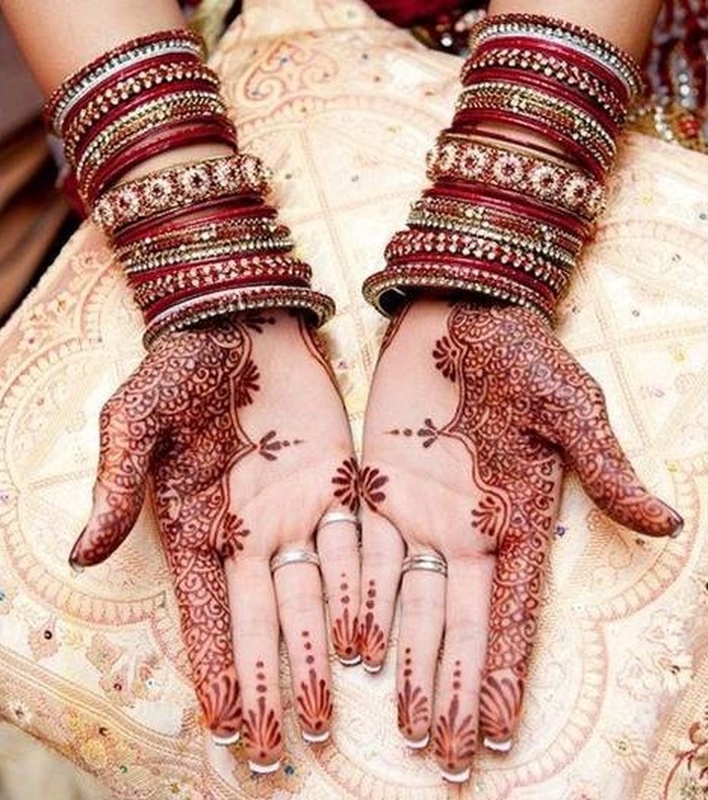 Wouldn’t you love to be up-to-date on the latest bridal mendi design trends for the season? For more mehndi design trends and inspo, click here! Mandalas are a very popular trend in this season’s mehndi designs. The word mandala comes from Sanskrit, essentially meaning circle. Circles are known to symbolize eternity, harmony, perfection, unity and completeness and that seems like an ideal design for bride’s starting a new chapter in their lives! Motifs make any mehndi design all the more interesting than just a few repetitive patterns in any direction. Try out bride-groom motifs, peacock motifs, lotuses or even Ganpati designs for a traditional yet unique look. If you’re a non-nonsense, no-fuss bride, this is the right choice for you. These minimal mehndi designs are also perfect for the contemporary bride who likes an edgier, modern look!